The earlier breast cancer is detected, the better it may be for the patient’s long-term health. Get a brief overview of the tests that can help detect breast cancer. 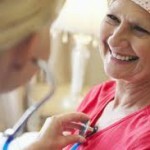 Breast Cancer Screening: What Kind and When? For women at normal risk of breast cancer, self-exams, clinical exams, and mammography starting at 40 may screen for breast cancer. Abnormal results or high-risk women may need earlier screening or additional tests. Do you do regular breast self-exams? While some cancers are too tiny to feel, and most lumps aren’t cancer, self-exams are a proactive way to help take care of yourself. 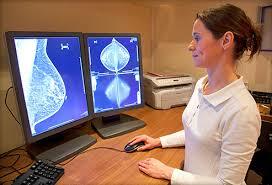 A clinical breast exam is a breast exam performed by a health care professional. It’s a basic part of women’s check-ups, starting at age 20. Find out what to expect from a clinical breast exam. Most abnormal mammogram results aren’t breast cancer. But more testing is needed to make sure. 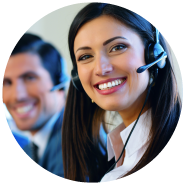 The bottom line: Don’t panic, but do get the follow-up tests. 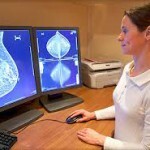 Do you find mammograms uncomfortable? Don’t skip the test; just learn how to handle it better. This video explains how to deal with mammogram discomfort. Doctors sometimes use ultrasound images to check whether a breast lump is a cyst (a fluid-filled sac that is not cancer) or a solid mass. MRI stands for magnetic resonance imaging. Learn how breast MRI is used to help detect breast cancer. When doctors perform a biopsy, they remove cells from a suspicious mass to see if it’s cancer. This article provides an overview of breast biopsies. This type of breast biopsy generally uses a needle, not surgery. Learn what’s involved in minimally invasive breast biopsy. In a sentinal node biopsy, doctors check a few lymph nodes under the arm to see if cancer has spread into the lymph system. Learn what’s involved in a sentinel node biopsy.